You are here: Home / News / ATTHD Wrestlers win 3 gold medals at Capital City Challenge! Above, from left to right: Coach Dusty Spaulding, Sam “The Tank”, Coach LC Davis. Sam “the Tank” earned his first Gold Medal of the season! The ATTHD Wrestling Club sent 10 wrestlers to the Capital City Challenge in Topeka, Kansas, on Sunday. The team went 18-13 overall with 8 falls! Harrison, John and Sam all took home gold medals. Great job to everyone! 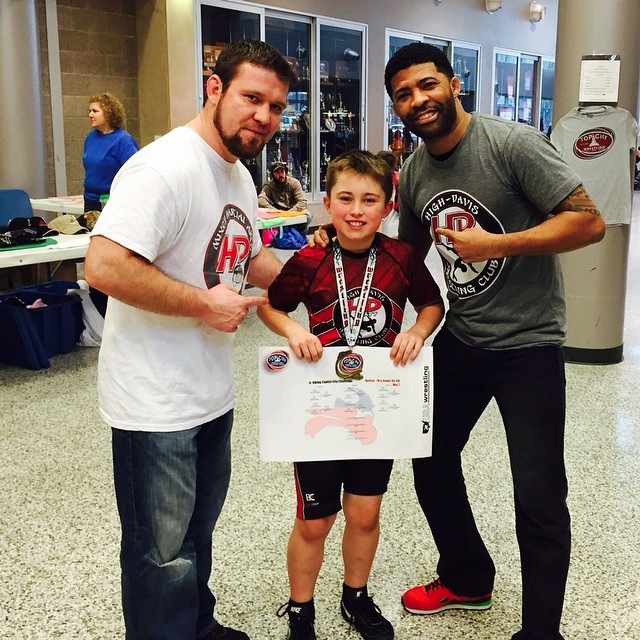 ATTHD Youth Wrestling Club is a USA Wrestling-sanctioned club in Kansas. Check out more photos below and learn about the ATTHD Youth Wrestling Club HERE.